If you are looking for one of the best collections of home accents, you have come to the right place. At our La Quinta furniture showroom, we have an abundance of home accents and furnishings that can completely transform your space. From lamps to wall art, we have everything you need to put that perfect finishing touch in your living room, dining room, or bedroom. 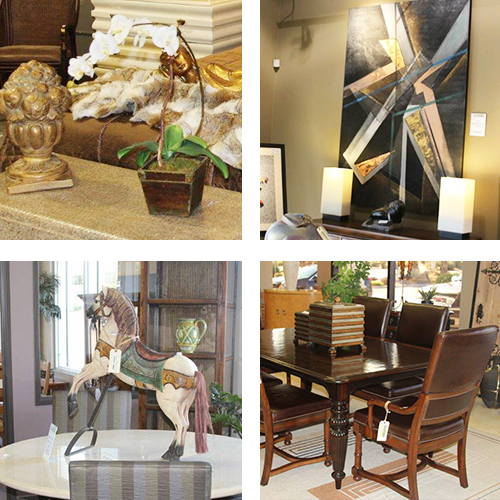 At Encore Consign + Design, we are prepared to assist you with the sale of your home accents. We allow our customers to leverage our extensive marketing platform to ensure their items are sold to the right buyer. With little effort on your part and none of the risks of direct selling, you can get the best value for your unique home accents. By simply sending us a photo, our experts can start assessing your item and strategize its placement in our showroom. To learn more about our consignment process, please click on the button below. From the moment you walk into our showroom, you’ll have a shopping experience unlike any other. We have over 23,000 square feet of home furnishings and accents to help buyers from all over the Coachella Valley create their dream home with ease. Our collection of home accents, include candle holders, serving trays, lamps, wall decor, picture frames, and much more. At Encore, we make it easier than ever before to decorate any room in your home.